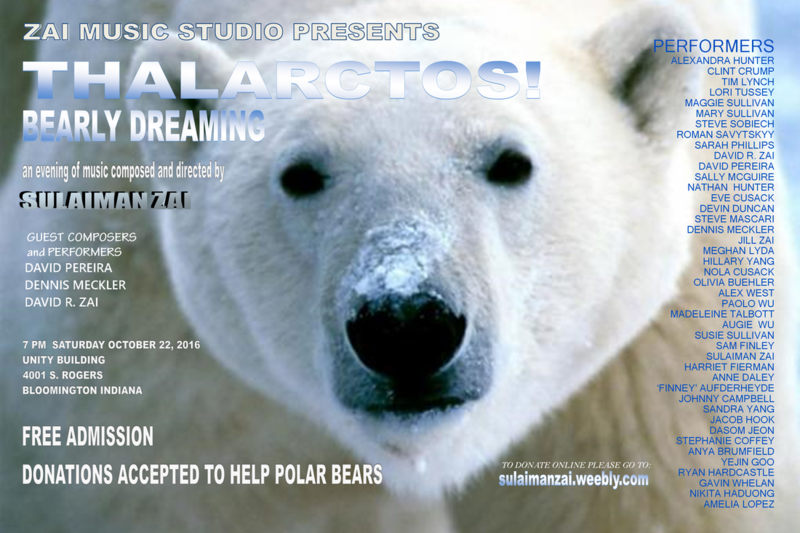 A fundraising benefit concert to help Polar Bears. The concert is written and directed by Sulaiman Zai for a group of forty musicians from Bloomington as well as players from out of town and abroad. The concert will also feature guest cellist and composer David Pereira as well as guest composer Dennis Meckler and David R. Zai. The performance will be on Saturday October 22nd, 2016 at 7 PM at Unity Building, 4001 S. Rogers in Bloomington Indiana. Admission is FREE and donations will be gratefully accepted. 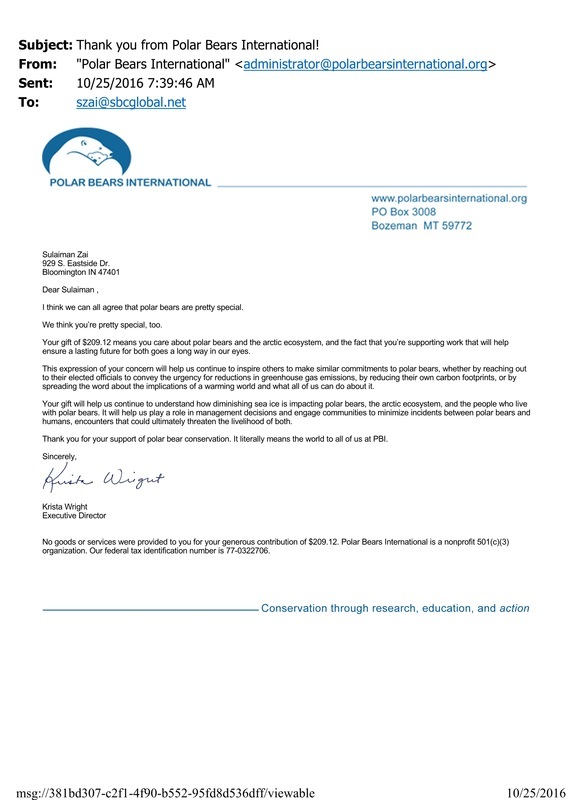 All proceeds after production costs will be given to Polar Bears International, a group that supports and does research on behalf of Polar bears. Please come and enjoy this heartfelt performance and help support Polar Bears!